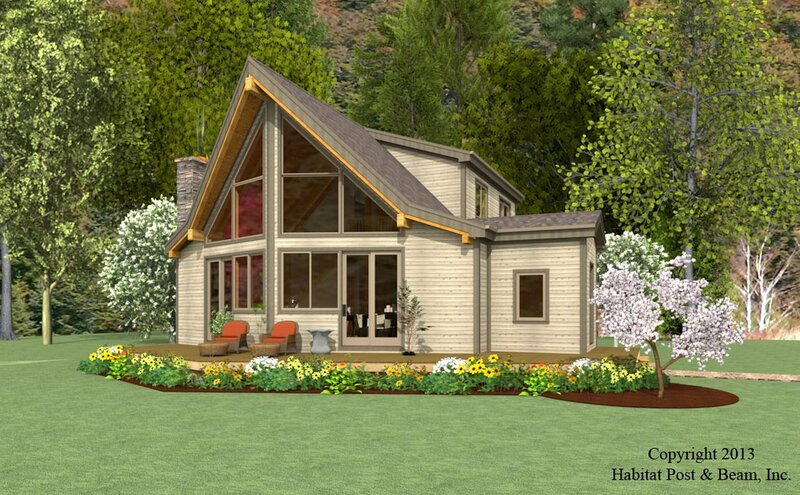 This custom three-bedroom Prow home is based on our standard Woodland Prow model (see http://www.postandbeam.com/plan/64/ ), and has an upper level master bedroom suite with walk-in closet, bath, and loft sitting area. The flat lot allows for a ground level wraparound deck with no railing necessary. 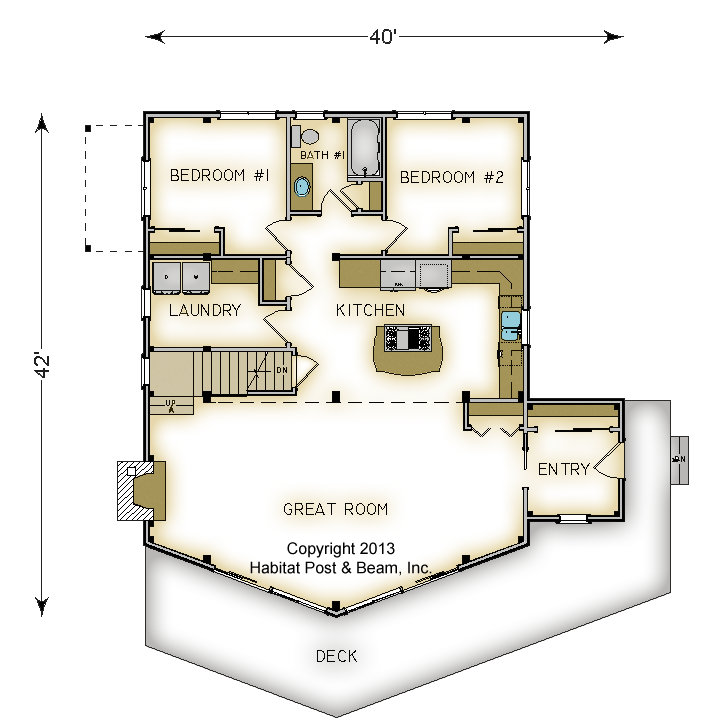 The walkout basement level is a flexible use space for utilities, storage, and any other finished space. Most designs can be adapted to add or remove walkout basements, garages, porches, etc., as desired (framing materials by owner/contractor). 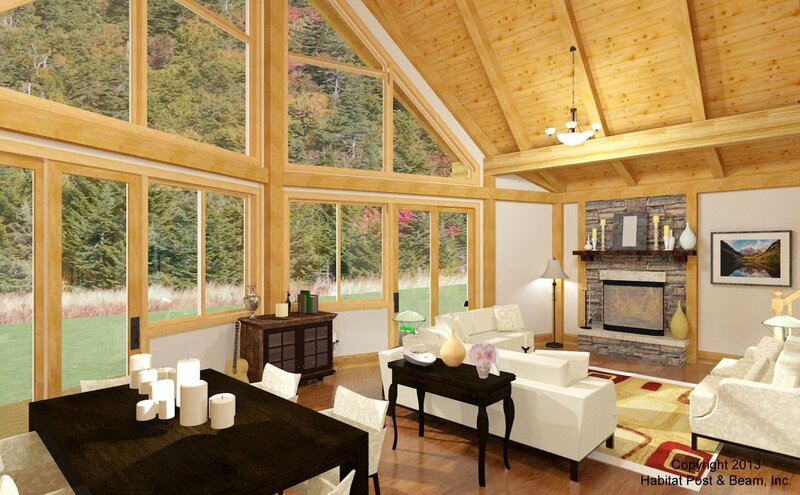 Package Price: $169,000 as specified below (from $136,000 to $170,500 depending on framing options). The standard price includes our Full Exposure Wall System, Plaster and Beam or Beamed Mid-Floor System (same package price) and our Beamed Roof System. The deck is not included in the above pricing.